When considering a bathroom remodel, there’s perhaps no more important place to start than the flooring. Shelby Design Center is a Top Rated Local® flooring store in Shelby Township. We specialize in hardwood flooring, laminate flooring, and luxury vinyl tiles. When picking out your next flooring solution for your bathroom, it’s important to consider your needs. Are you looking to heat your floor and you need flooring that can accommodate that? Do you need a fully waterproof floor for a master bath? Or is this just for a half bathroom where that isn’t a concern? Sometimes it’s tough even just knowing the right questions to ask. That being said, you’re not without help. 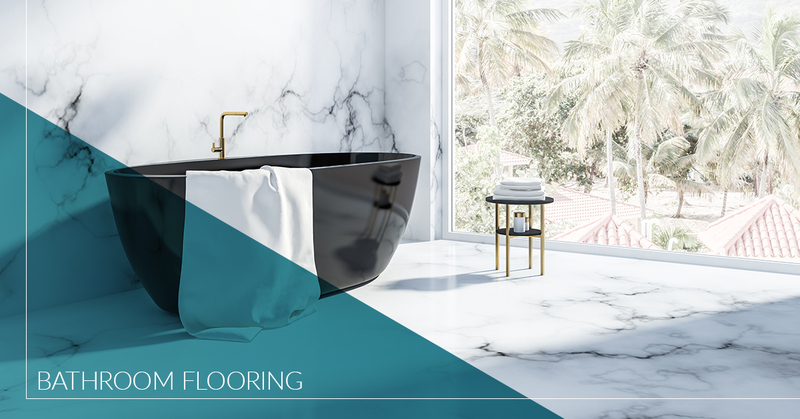 Our experienced flooring experts are here to enable you to make the best flooring decisions you possibly can for your bathroom. 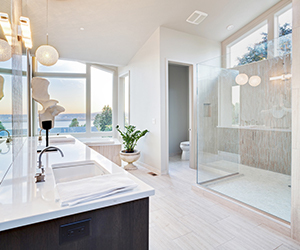 We’d love the opportunity to speak with you about your bathroom remodeling project. Contact us to schedule a time that works best for you. When it comes to vinyl flooring types, you can choose between luxury vinyl tiles and vinyl planks. The main difference lies in the shape. Luxury vinyl planks are better at copying hardwood flooring. Luxury vinyl tiles are designed to copy non-grain materials such as marble, slate, and limestone. 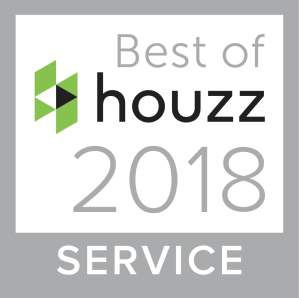 While vinyl is certainly not a replacement for the real thing, today’s vinyl options are affordable, durable, easy to install, and offer visual appeal that’s hard to beat. There are many laminate flooring options that can provide the look and feel you’re going for without the risks wood poses in a bathroom. Laminate is affordable, durable, and easy to install. It can mimic the look of natural wood floors, but is incredibly scratch and stain resistant. You also don’t have to worry about water damage like you would with real wooden floors. However, if you simply must have wooden floors, then engineered wood flooring is the way to go. Plywood or solid wood bottom layers hold up against moisture fairly well. If you have a low-traffic bathroom where there is good ventilation, this option may work for you. However, if there’s a risk of the floor getting soaked and users aren’t careful, even engineered wood flooring isn’t safe. Clearly there’s a lot to consider when it comes to bathroom flooring, and Shelby Design Center has a lot of options. Maybe you know you need new floors for your bathroom but have no idea where to start. Or perhaps you know what you’re looking for but could use the extra reassurance a professional provides. Either way, give us a call at 586-209-3244 or drop by our flooring showroom today and see how we can help. And after you’ve figured out your bathroom flooring needs, check out our lighting selection as well.